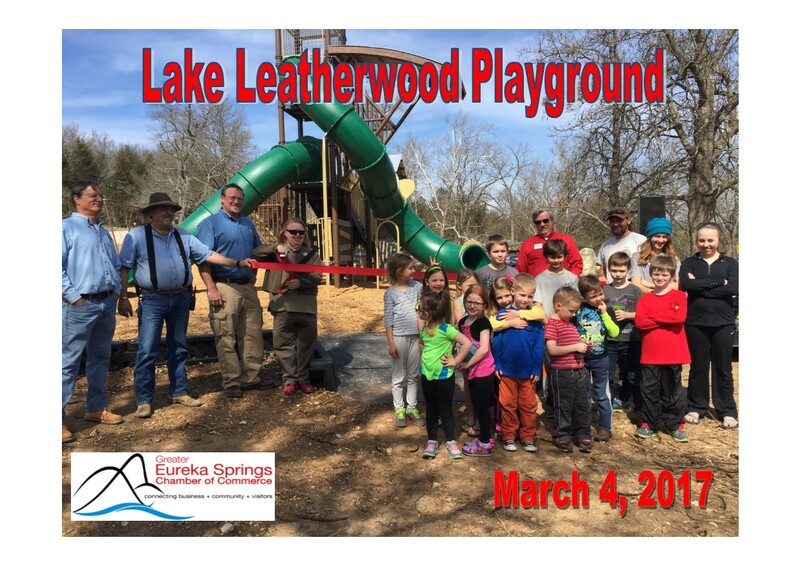 Membership in the Greater Eureka Springs Chamber of Commerce demonstrates a company's commitment to helping improve the area’s economic vitality and quality of life. In return, Chamber members benefit from the wealth of educational, networking and growth opportunities exclusively provided through membership. 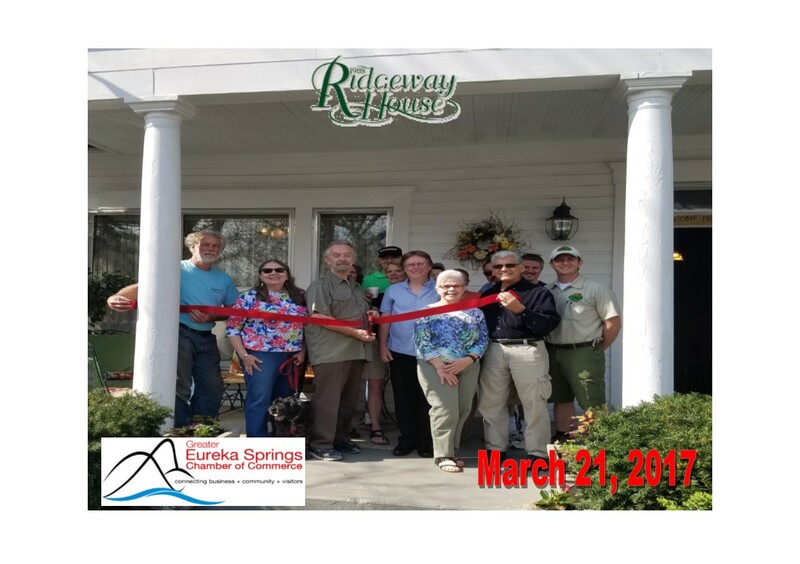 The Greater Eureka Springs Chamber of Commerce present role is that of a not-for-profit, membership-funded business organization that continues to serve the business community through the active involvement within the community, the publishing, distribution and management of the community's Visitor Guide, In Town guide, Group Travel guide, Wedding guide and website www.eurekaspringschamber.com. Also the daily attention to the Visitor Center and its guest and inquiries. The Chamber is a well-established, thriving organization offering a wide variety of services to its members and visitors. 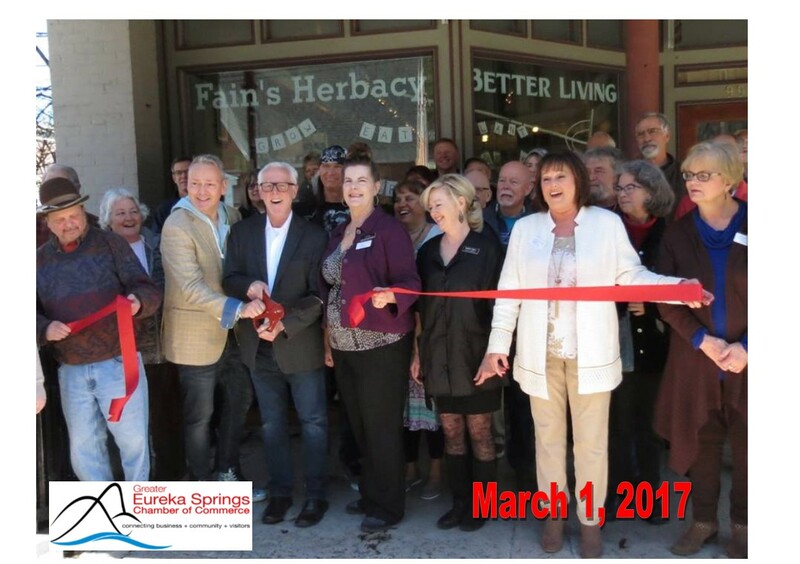 With all the Chamber has to offer there has never been a better time to be a member of the Greater Eureka Springs Chamber of Commerce. 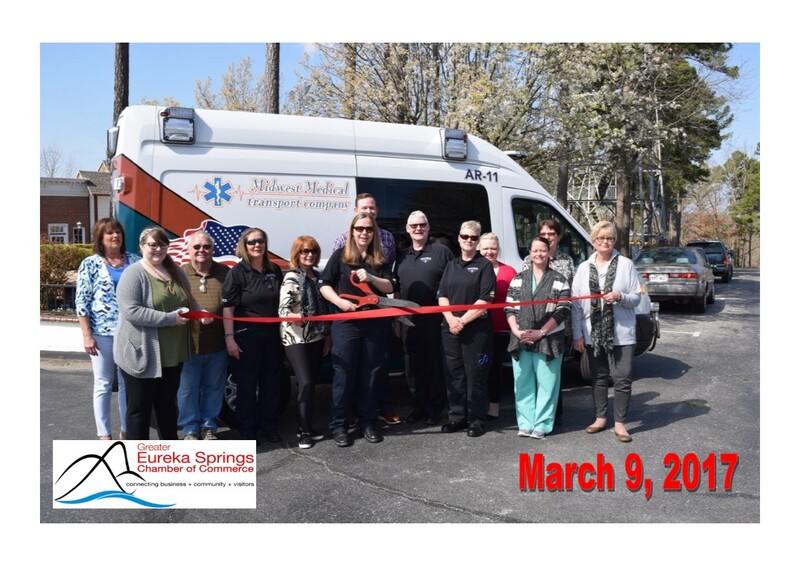 Ribbon cutting and groundbreaking services -Gain exposure with your new membership by scheduling your ribbon cutting or ground breaking. We will provide the scissors, ribbon, ambassadors and photographer. Your picture will be placed in the local newspaper and you will receive a complimentary framed photo. New member packet & orientation - Your new member packet contains a wealth of information about your Chamber membership and will also include your membership sticker. You will also receive an invitation to the orientation held once a quarter for our new members. Qualified Referrals – we ONLY refer chamber members. The Chamber receives requests for goods and services. Advertising & sponsorship opportunities -An affordable way to brand your business. 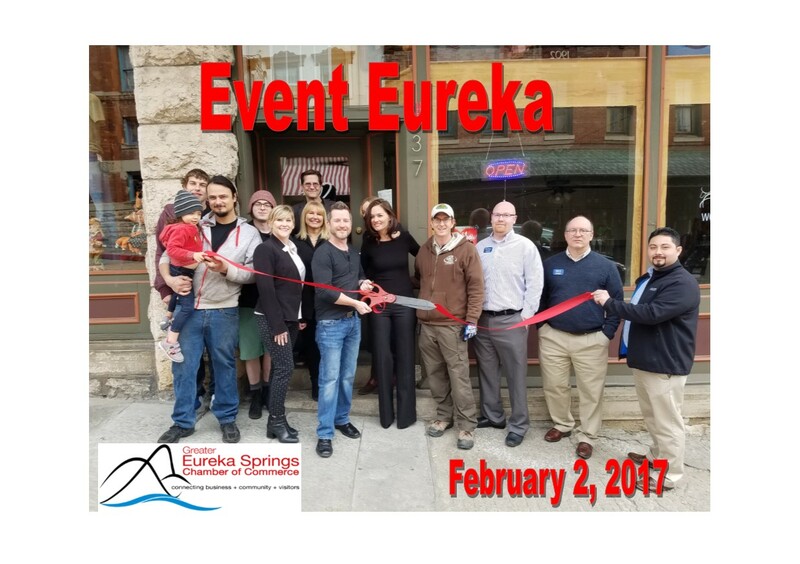 Networking events - Information and networking opportunities are available throughout the year that include Business After Hours, Wake Up Eureka Networking Coffee, festivals, special events and more. Educational Seminars – It’s Just Business is a monthly educational class with a variety of topics. Membership in U.S. Chamber of Commerce – The ES chamber is a member in the US Chamber and the membership & benefits are passed to you as a member of the Federation Partnership Program. You will receive newsletters, alerts and discounts with national retailers. Opportunity to participate on committees – We have several committees, Ambassadors, membership and more. Miss Mary's Day Care, Inc. Being active in a local chamber of commerce is an effective business strategy because two-thirds of consumers believe that such companies use good business practice, are reputable, care about their customers and are involved in the community.